Chief Mary Cooke Garcia (b. 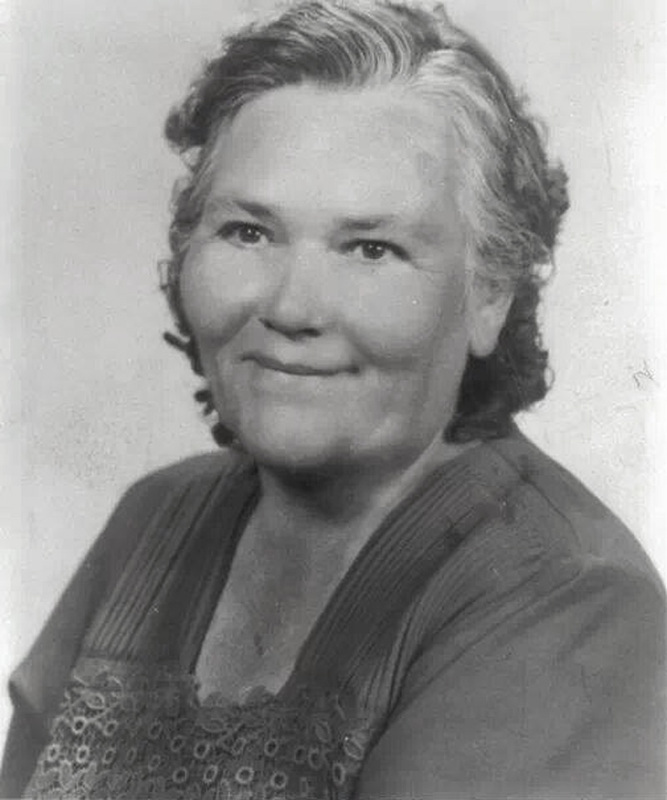 12-12-1901, d. 5-29-1975), a daughter of Fred Cooke and Chief Frances Garcia (Cooke), was matriarch of the extended Cooke and Garcia families, having inherited the mantle from her mother. Mary's lineage is traceable to individuals who lived in the Santa Clarita Valley prior to European contact in 1769. The title of chief skipped over Mary's son Ted Garcia Sr. and passed in the late 1950s to her nephew, Charlie Cooke, who at that time was starting to get involved in Indian cultural affairs and site monitoring. Half a century later, in December 2008, Charlie passed the title to Ted Sr.'s son, Ted Garcia Jr.
Granddaughter Geraldine Romero Perez remembers (2014) that Chief Mary "was the most loving and caring Nana (grandma) anyone could ask for. She would never send anyone home hungry; never left a mouth unfed. If you needed anything, she was there for you." Chief Mary shares a headstone with her husband, Louis Garcia (1885-1973), at San Fernando Mission Cemetery. FF0110: 19200 dpi jpeg from smaller jpeg courtesy of Geraldine Romero Perez | Online image only.